Users can comment on posts, topics, events, book pages and basic pages (if enabled by the author). 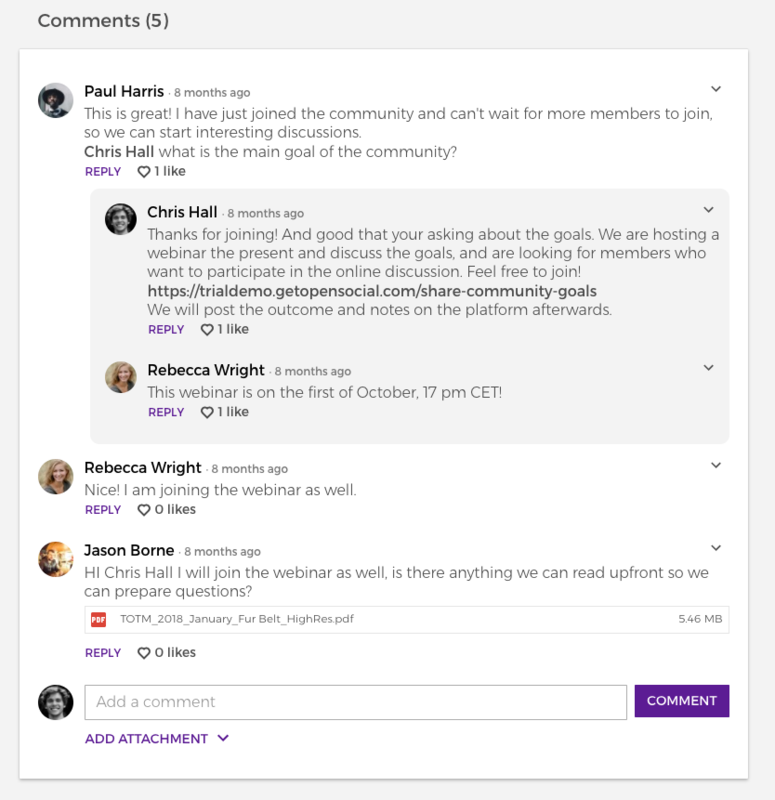 For topics and events, users can reply with comments and even attach documents to their comments. It is possible to attach multiple documents to each comment. 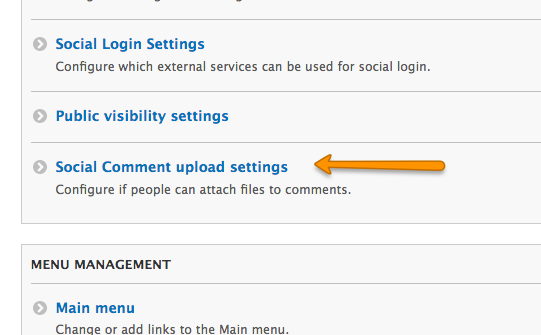 Site managers can choose to disable or enable the function of adding attachments to comments. This setting can be found in the site manager dashboard under the 'configuration' section. When disabled, comments which already had attachments will still be shown, only the attachments will be hidden. As soon as you enable the feature again, the attachments on those comments become visible again.